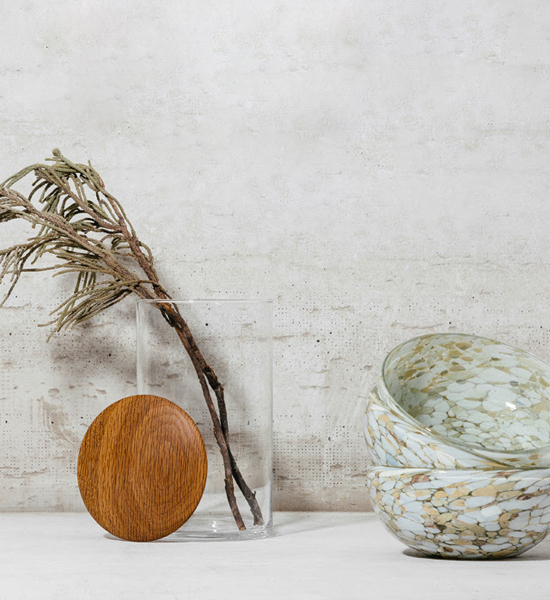 I’ve got home goods on the brain right now and a need to make everything a bit more serene. That sums up Lovely Things #4. Wood. Copper. Soft, splatter-y prints. Also, a getaway. I could really use a getaway in a Norwegian cabin. 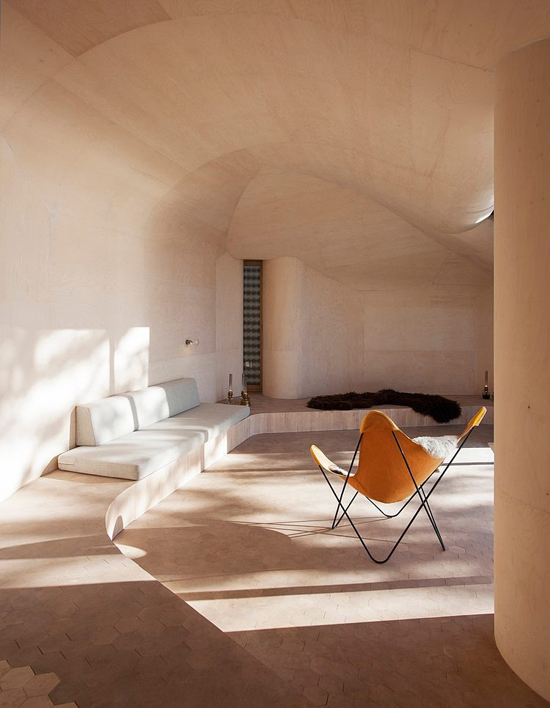 Check out lots more Lovely Things roundups! I want to hole up for a month or two in the peaceful Norderhov Cabin. 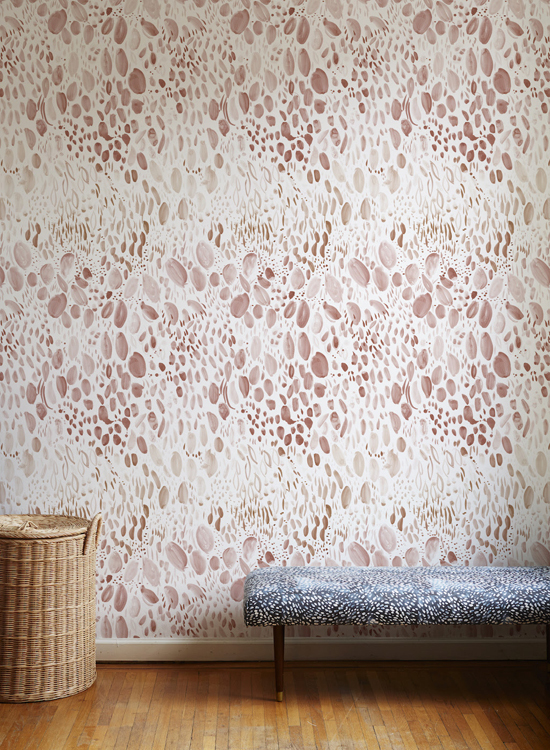 I love the new Blushing Taupe Blooms Wallpaper and all the rest of the new designs, too! 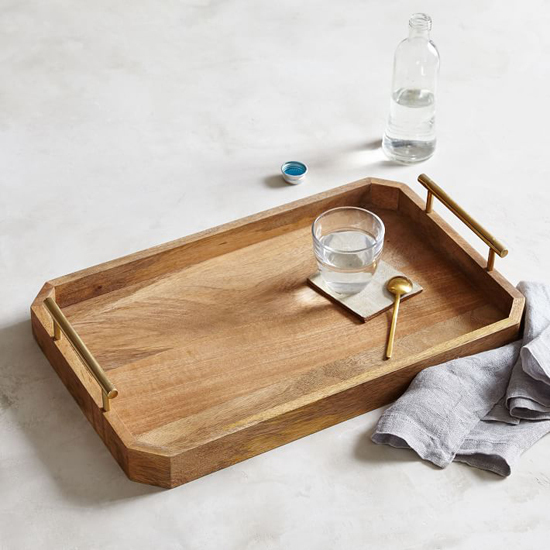 I love this wood and brass tray! Breakfast in bed or a nice coffee table spot to put candles, coasters, and incense. This reminds me of my art deco one. 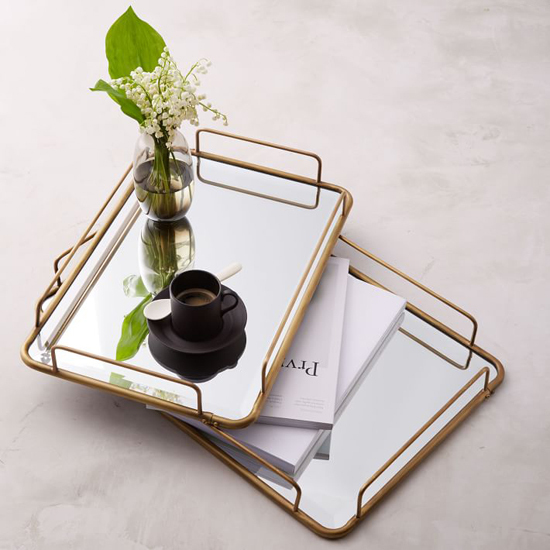 These brass and mirror trays are great, too. I love these for dressers, vanities, or pretty toiletries in the bathroom. Oh, helloooo! I love these new Black Bubble mugs in both sizes. I want to stare lovingly at one while I sip my morning coffee. 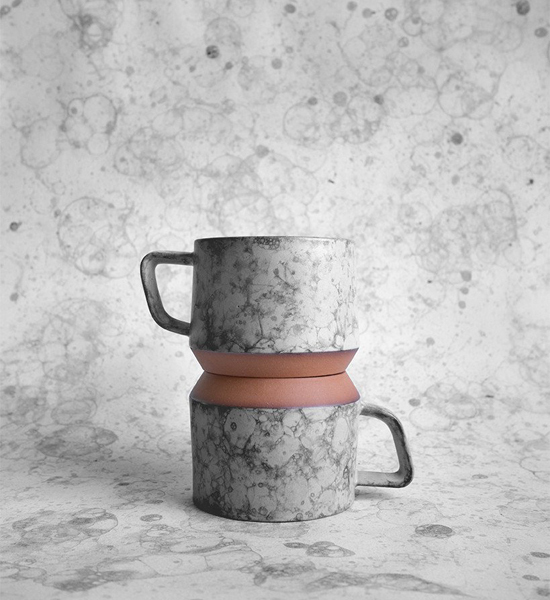 I love this collection and all the rest of the amazing new home goods. All these candles smell amazing. 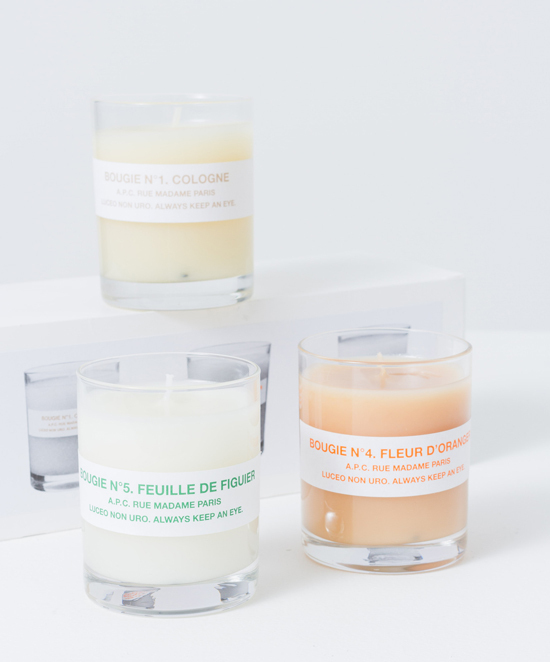 I’d love a mini candle box set. 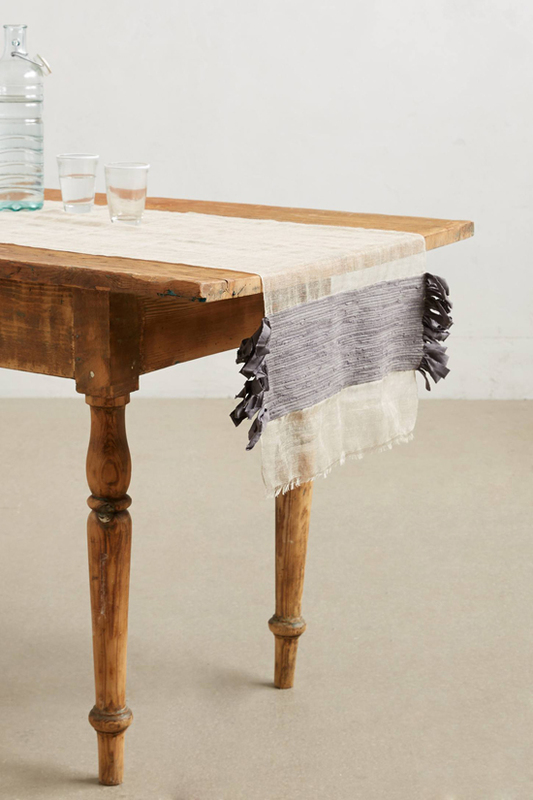 I love this fringy Coyuchi linen table runner. The wildflower runner is beautiful, too. 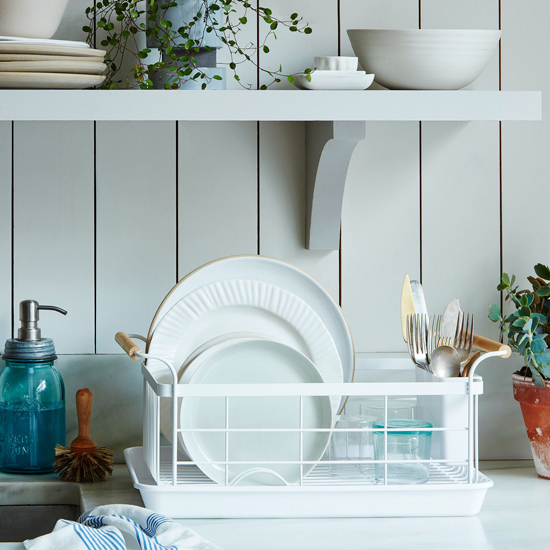 It’s hard to find a cute dish rack — this one is probably the cutest one ever. 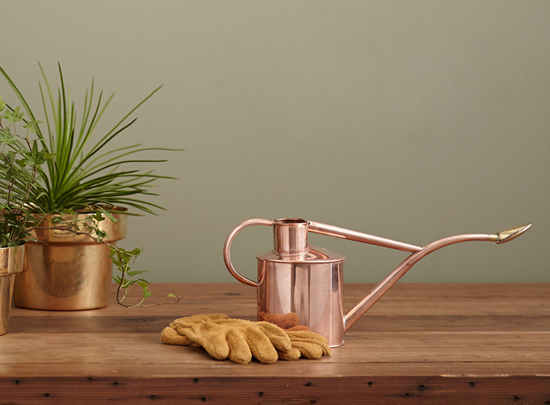 These copper watering cans are a handy classic — and easy on the eyes so you can leave it hanging out with your houseplants. HELP. 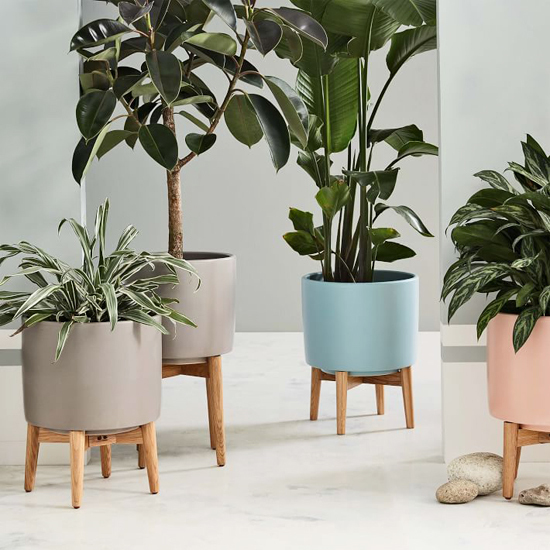 I want all these pretty standing planters. Especially the grey and the rose pink ones. 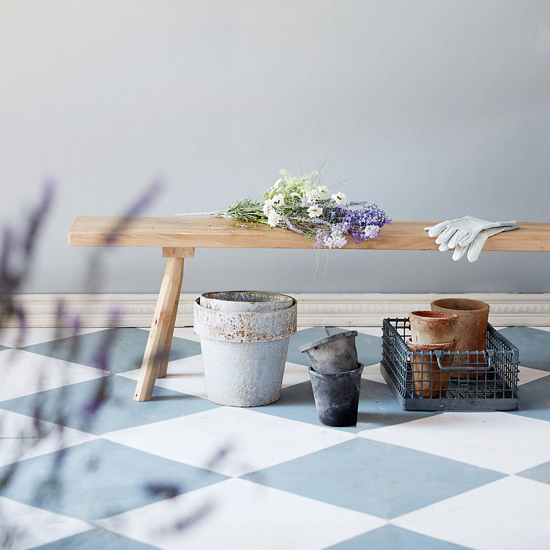 First, I need a mudroom with cute tile and beautiful molding. Then I need this oak bench to put in it. And all the planter pots and things.